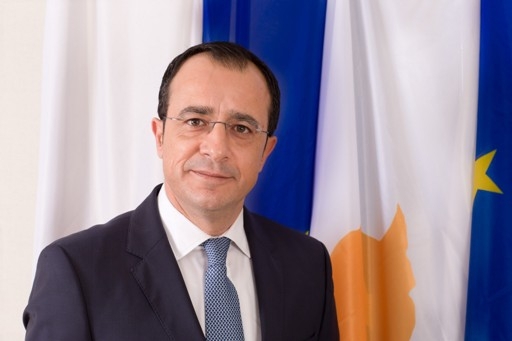 NICOSIA, July 6, 2018 (MENA) – Cypriot Foreign Minister Nikos Christodoulides said that Egypt and Cyprus have common vision towards the Middle East. The Cypriot foreign minister highlighted Egypt’s role and constructive efforts aimed at resolving conflicts and overcoming regional challenges. The Cypriot top diplomat made the remarks at a ceremony held by the Egyptian embassy in Cyprus on the occasion marking the 66th anniversary of the July 23rd Revolution. “Egypt is a pillar of stability, beacon of moderate thinking and key partner in the fight against terrorism, in our volatile region”, Christodoulides said. He underscored that consolidating Egypt’s cooperation with Cyprus and the European Union could contribute to bringing about peace, security, stability and prosperity in the region. As for the trilateral mechanism which groups Cyprus, Egypt and Greece, he said that much has been achieved in several domains through it, voicing his country’s keenness on expanding cooperation. He expressed appreciation for Egypt’s stance in support of efforts meant to reach a fair and comprehensive solution to the Cyprus issue.